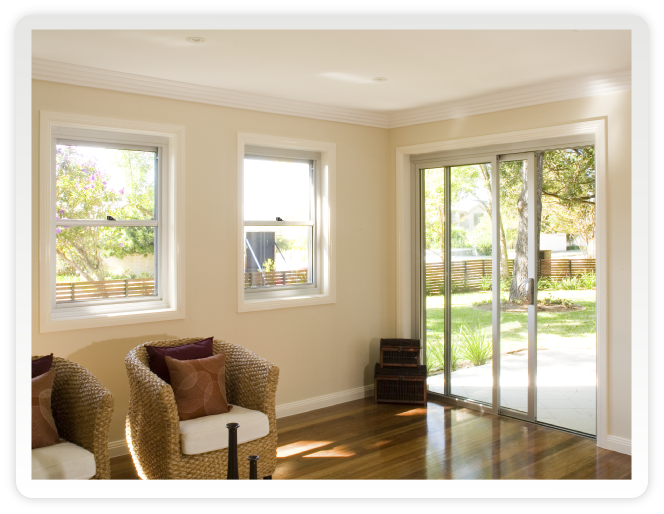 Aview Windows & Doors sliding doors will open your home up to glorious light and extend living areas to the outside. The doors glide quietly and smoothly on a non-corrosive roller system which is easily adjustable. The strong durable frame is designed to keep the weather on the outside. Water that collects in the bottom section is drained away through a system of baffled weep holes. Capable of 2, 3 & 4 panel configurations, our sliding door suite can cater for a wide range of residential applications. As well as having a 4 panel corner door option. Attractive rounded door interlock designs complete with end caps for varying wind load requirements. A range of sill options available for increased structural, water performance and design flexibility.Our options allow the inclusion and the addition of a fly screen or security door, a common key to match, security or invisi gard doors and a wide choice of fashionable powder coat and anodised aluminium finishes. Optional ergonomically designed handles can be fitted to both the inside and outside of the door. Deadlocks can be fitted for added security.